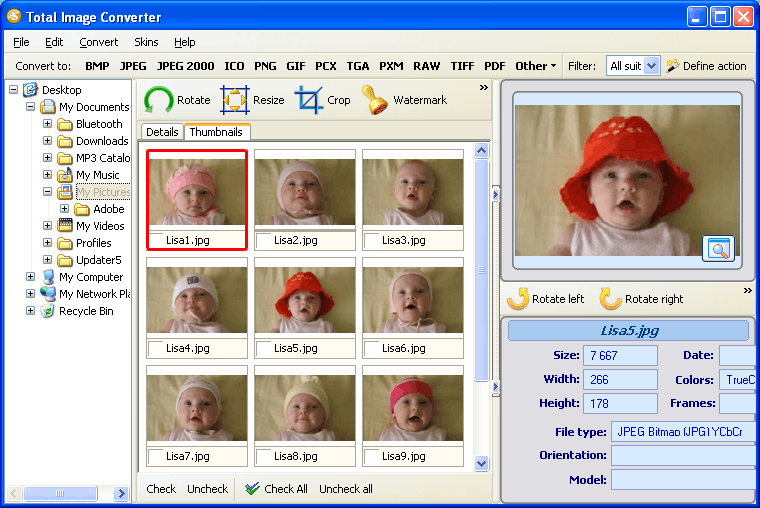 PCX is a very specific raster image format, similar to BMP. It doesn’t support any color palette except RGB, provides with rough compression and is ineffective in terms of file size. However it is still used today, being supported by many editors like Adobe Photoshop or Corel Draw. It is very difficult to find a program that would be able to convert PSD to PCX, as the support of PCX is not included to the functionality of modern converters. 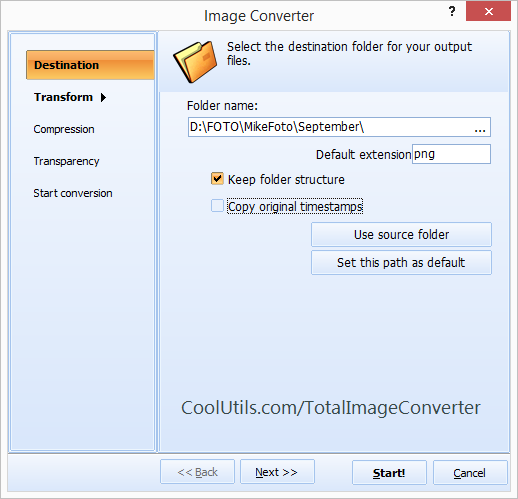 Total Image Converter is an exclusion of this rule, it has an in-built PSD PCX converter able to export any number of PSD files into PCX format within a few clicks. It is possible to make settings one for all required source files and convert them to PCX with the help of program interface or command line. Moreover you can edit PSD source files before conversion to make them more suitable in size and image orientation. First of all you need to open the program and using the in-built navigation panel select appropriate source files. All the files for one cycle of batch conversion should be located in one folder. Open this folder and check required PSD files. Click on ‘PCX’ format in ‘Convert to’ format bar located above navigation panel. You will see the options wizard popped up. 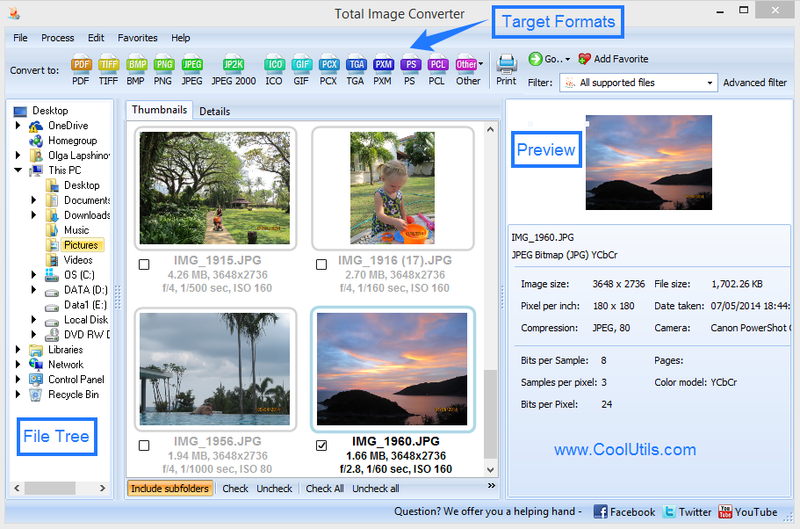 Watermark: you can add a watermark to each converted image file. After you are done with settings go to ‘Start conversion’ inlay and press ‘Start!’ to begin converting files. After conversion is done, you will see a destination folder opened in separate window. 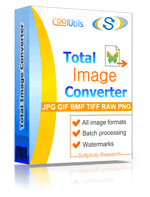 Use Total Image Converter every time you need to export your PSD files into more common format. The application is ready for use, you can download it online!